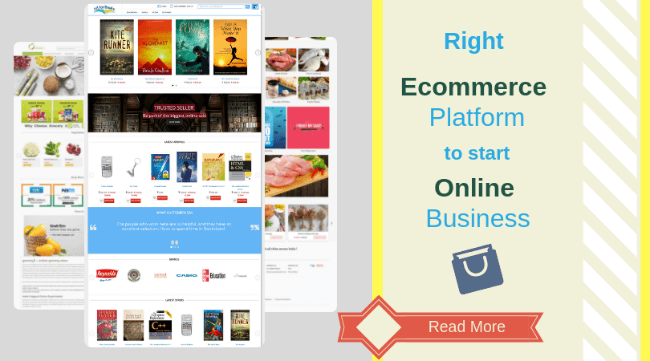 Ecommerce Platform Provider - How to start eCommerce Business in India? If you haven’t gone through our previous post on the same title “How to Start an Ecommerce Business in India?” Now would be a good time. The trend of doing business in India has reached the ‘cloud’ with the advent of cloud computing and the evolution of eCommerce platform providers in India. The internet accessibility has increased manifold with even simple android phone allowing its users to browse the internet through a simple application. These aspects have made it essential for many retailers to invent in an online store for addressing the need of the virtual shoppers. 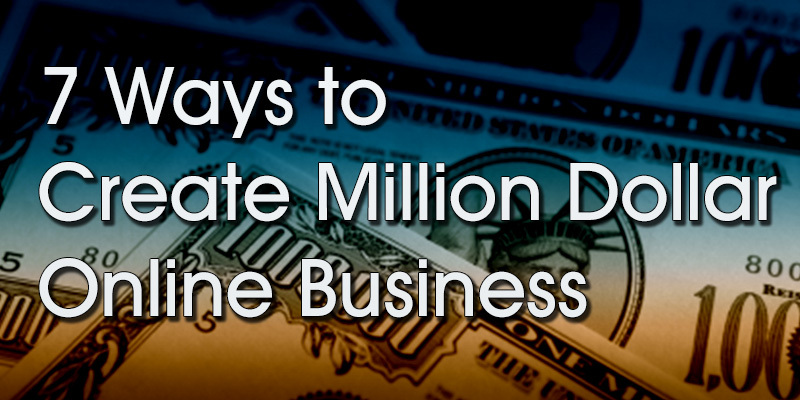 Hence, many businesses now think that it is wise to start doing online business in India. And with the number of mobile users on the rise, a proportionate increase in the number of online shoppers is expected. So if you intend to reach a larger population, then having an online store is your best bet. However, there are a few important aspects which are to be addressed before you start eCommerce business in India. WHY TO START AN ECOMMERCE BUSINESS IN INDIA? All businesses start with an idea. So, if you do not have a running business already, then you need to figure out a business that would not only be feasible but also be profitable. Such an idea should also be a scalable one. It should however be noted that not all businesses that operate from a brick and mortar store can be carried out online. An example of this would be an ice-cream store. Although, it still can be worked out, the logistics may not be feasible in all cases. On the other hand, many businesses which people thought could not be done online are having a higher business online. Online cake and flower stores are a great example for this. Hence, it is vital to have a robust business plan before you start eCommerce business in India. In simple terms, an ideal business is the one which is easily manageable, has a good profit margin and can be expanded with little effort. If you have a business idea which can be carried out online, then first talk to your peers, meet up with other online business owners and understand the basics of online business from them. You should also know about your competitors (already existing or the probable ones in future) to evaluate whether your strategy is different from them or not. If you are planning to offer online option for your existing business, then several aspects would already been taken care of; especially, the legal requirements. There are seldom additional expenses for maintaining your inventory or accounts. Nevertheless, you may need a separate office to ensure smooth running of the online store. The next aspect to consider before you start eCommerce business in India is its operation pattern. The question to be answered here is whether you are going to manufacture the products or outsource it. Numerous online stores do not have a single manufacturing unit or maintain an inventory. Many other stores operating online opt for the dropshipping option where they pool in different business owners under a common platform and market their products. Also it needs to be clear whether you are going to ship everything from a single warehouse or have it sent from multiple locations. While it is easier to ship from different locations, it may not be simple to keep track of the products sent. Additionally, the cost involved in maintaining a warehouse and the support staff needs to be considered. Other option to be looked into is the dropship option where you ask the business owners to ship them directly. This is a more hassle free option but requires full support from the business owners registered with you. The next step to start eCommerce business in India is to identify the right eCommerce platform or technology that suits your needs. Basically, you can either use open source software to set up your online store or subscribe for an eCommerce platform. Open source software is freely available and can be customized according to your needs. There are many companies which offer this option. While most of them offer several free to use features, many require you to purchase additional features. This may not be a ‘free’ option under all circumstances. Additionally, a fair amount of programming knowledge is necessary for setting up a reasonably good looking store with all necessary features. If not, you may end up paying more. Other option is to subscribe for eCommerce platform such as Shopnix which offers a literally ‘plug-and-play’ online store. Such eCommerce platforms offer ready to use online stores where all you need to do is upload the details of your products and start selling! These platforms have ready templates for different types of stores, which can be customized according to your needs. You can not only keep a track of the inventories, but also understand customer buying patterns and plan your marketing strategy accordingly. Shopnix also offers several free features such as domain buying and SMS packages which are worth trying. What you need to compare among the different available platforms are the features being offered. To start eCommerce business in India, you need a platform that offers the best feature in all fronts – store front, product listing features, pricing options, themes, order management, catalogue management, logistic assistance and stock management. The eCommerce platforms have a monthly fee or an annual fee that has to be paid to avail their service. Choose the one which offers maximum features at an affordable price. For my store, CoorgShoppe, I found that Shopnix provided me the best offer in town. If you are planning to start eCommerce business in India for the first time several legal aspects need to be addressed. First among those would be registering your firm. You need to choose among the different options such as sole proprietorship, partnership firm, or a company. It is preferable to take the opinion of a legal entity to help you decide the appropriate registration. Other aspects that need to be registered include your company name, trademark and logo. You also need to buy a domain name (some eCommerce platforms such as Shopnix offer you a free domain name registration). Although the portal would be online, a brick and mortar office will be required to run the show. Other legal documents would be related to local office registration including clearance from local municipal office, health regulatory authorities (especially if you are planning to deal with any kind of food), building regulatory offices, fire safety, etc, depending upon the size and location of your office or warehouse. Many of these documents and registrations can be obtained/carried out online. Numerous online firms can help you complete all these formalities and it would be useful to consult a renowned firm in this regard. They can provide hassle-free solutions according to your requirements. Once your legal aspects have been taken care of, you must look into setting up the office/warehouse depending upon the basic approach you have decided. You may require staff to maintain your accounts, handle customer queries, take care of logistic issues, maintain the inventory, and other related aspects. In case you are setting you are setting up a warehouse, then machineries, large racks and other equipments to store and load/unload stuff may also be required. Once all these are taken care of, you are a few steps away to start eCommerce business in India. One of the important aspects of online stores is attractive packaging and branding. Do ensure that you take help from agencies involved in brand management for the best design for your brand. This is required to ensure that your brand (regardless of being a manufacturer or a reseller) creates an ever-lasting impression on the buyer. Maintaining uniformity in the labels and packaging covers help promote your brand in a much better way and can help you grow quickly. You also need to hire or work on the content for your online store. Good content is vital to start eCommerce business in India. Many of the buyers would like to know more about the product being displayed and definitely read through the product description. Detailed usage instructions are often necessary for several products such as electronic devices, electrical appliances, jewels and even food products. Therefore, you may need to invest on content writers to help form these descriptions for all the products listed on your online store. Photo shoots to click pictures of the products being listed is another key aspect. If you are reselling or drop-shipping the products being sold on your online store, then you can collect these pictures from your suppliers and post the same. However, if the pictures are not attractive or clear enough, or if you are promoting your own brand, then you will need to hire professional photographers to help you with acquiring great photographs of the products to be listed. Different views of the same product (top, front, back, etc) are required to help the buyer have the most realistic image possible. One of the main drawbacks of online store is that can’t provide the ‘touch and feel’ experience of the physical stores. Therefore, the photographs must be clear and descriptive enough to fill this gap. Identifying the best logistic partner is one of the most vital steps when you plan to start eCommerce business in India. It should be remembered that brand and the credibility does not mean best service. Anything can go wrong while the product is being shipped and you must always be prepared for damages and returns. An ideal logistic partner is one who promises safe handling of your products, has wide coverage pan India, delivers within a reasonable time period and makes sure your returned products reach back the warehouse without any hassles. If you plan to go big, then identify a couple of logistic companies which have better service and wide coverage. Ask them for the best quote and form an agreement. For small players, several companies act as logistic aggregators. These companies have tie-up with several logistic companies and offer you a separate online platform for easy booking and follow-up. It is preferable to tie-up with such companies as the logistic aspect can be the most cumbersome at times. The product not only needs to be packed safely, but it also should be picked up by the logistic company in time for timely delivery. All orders that have been shipped need to be followed up until delivery. Majority of the logistic companies handles millions of packages on a daily basis, and several packages go missing regularly. Therefore, you need to ensure that all your products are well packed and labeled. Follow up through the tracking system should be regularly carried out. In case you plan to have your own delivery system, then you need to plan accordingly. There should be system in place to track the flow of products from the warehouse to the doorstep of the buyer. Once all the above listed aspects have been taken care of, you are ready to start eCommerce business in India. 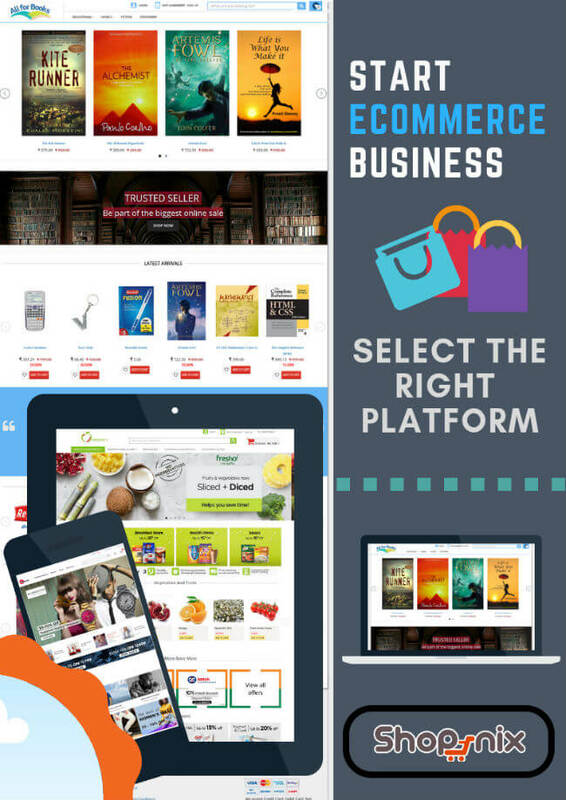 Choosing the right eCommerce platform for your online store can take away numerous hassles. In many instances one single person can handle all responsibilities as all the details related to inventory, customer profile, orders, payment and shipping status are available at a click and can be accessed from anywhere. However, one has to remember that it is not easy to start eCommerce business in India. You may be faced with several challenges that need to be taken care of and only the ones who believe in persistence are able to sustain the business in the long run. Nevertheless, the availability of eCommerce platforms such as that by Shopnix, cuts the difficulty manifold. If your business idea is a unique one (or even if you know how you can be different from your competitor) it will definitely click. Smart management, persistence and learning from your failures can help you conquer the eCommerce world.